Basements in most homes are damp, dark and musty. There is no problem with storing things way for a later time, but if you have no organization beneath it and it degenerates into an uncontrolled mess, what is the point? You won’t be able to find the Christmas tree or that box of old baby clothes when you need it most. 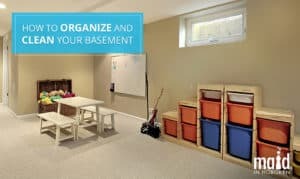 To make better use of the space, and to enhance ease of use, it’s important that your basement space is organized and cleaned. And if your basement is a cluttered mess, you’ve come to the right article. Today, we will serve up some basement cleaning tips and how to organize your area as well as cleaning it, and we’ll get straight down to business now. You can build some shelving to store things away. If you have insufficient shelving, make use of those plastic totes to store away seasonal clothes or decorations. If you want a personalized touch for storage, you can build a shelf that will accommodate everything you need. If you don’t like the look of open shelving, you can cover it up with inexpensive curtains. Not only will this hide away what you are storing, but it can add some texture and color to space. If your laundry room is in your basement, be sure to inject some organization into this area as well. Add in some shelving or inexpensive cabinets to hide away laundry soaps and supplies. If your pantry area is in your basement, you can get or build whatever type of shelves you need to store away your food and supplies you use for cleaning the house. 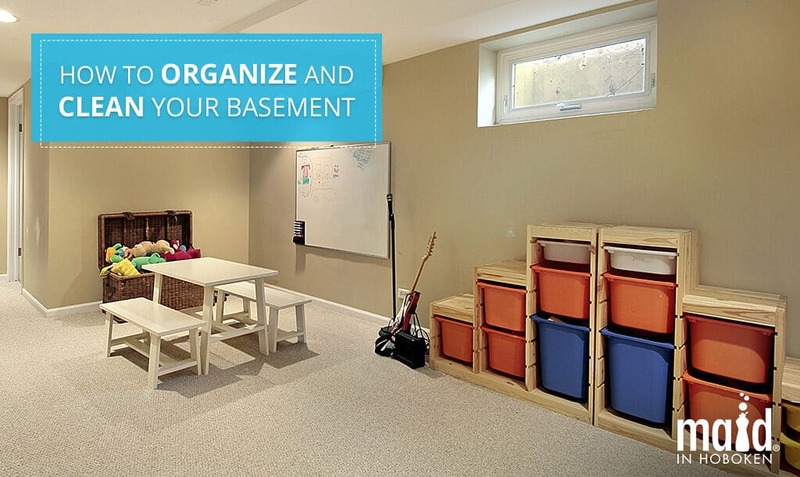 Perhaps the kids have a space to play down with a right basement organization ideas. If so, you can still organize toys and craft supplies. Just because the area isn’t in plain sight doesn’t mean it has to be a mess. If your basement has yet to be finished, you are actually in luck! You can harness all that space between the wall studs as bonus storage space. You can create shelves to store extra food items, tools, or other small things out of the way. Think of an unfinished basement is a blank canvas. You can do whatever you want with it, but planning properly is key. Even though the basement isn’t an area everyone will see, you should still make sure to spend time dusting the shelves and cleaning the area. Keep some simple cleaning supplies on hand. Spend a little time to wipe down surfaces and sweep the basement. It will go a long way to making your whole home feel tidy! You might be able to keep on top of your regular weekly cleaning but, for some one-off jobs like restoring order to a basement, it makes solid sense to consider a house cleaning service.